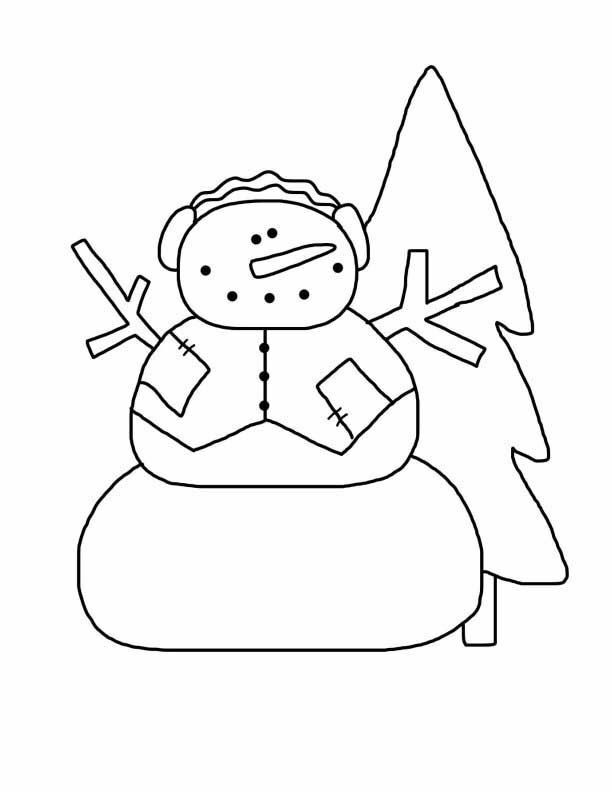 Free printable tattered snowman template. Snowman is wearing a vest with patches, has ear muffs and a tree. Use with fabric, as coloring pages, crafts, raggedy designs.